Why do you need Tagalog Translation Services? The most common native language in the Philippines is Tagalog, which is often referred to as Filipino. 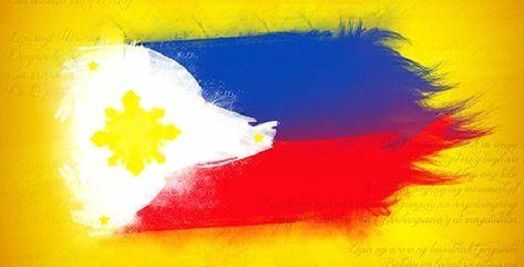 Though not completely synonymous, Filipino is simply the name given to the standard dialect of Tagalog and has been used as a way to create a sense of national pride and identity. Since 1973, the language has been standardized to help with communication issues that sometimes arose due to the huge linguistic variation throughout the islands that make up the country. Tagalog is the native language of about two thirds of the population of the Philippines, and the other one third speak it as a second language. Along with English, the Filipino register of Tagalog is the official language of the Philippines. The economy of the Philippines might be the fastest growing one in all of Asia at this time. Recently, the Philippine Statistics Authority released information showing that the rate of growth has reached 7.1% this quarter, after being at 6.7%. There hasn’t been this much economic growth in the Philippines for three years, and the rate is expected to increase. For those not so well-versed in economic statistics, it might help to look at some of the big players in Asia to compare numbers. China’s rate for the same time period is 6.7%, and Vietnam’s is at 6.4%. Before this quarter, India’s rate was at 7.1%, but the numbers for this quarter haven’t been released yet. China and India in particular are home to some of the largest economies in Asia, so for the Philippines to be doing better or be on par with them is quite an achievement. The driving forces behind this growth seem to be increased consumer spending thanks to interest and inflation rates being much lower, as well as increased investment. Economic growth is not expected to slow down anytime soon, either. Experts predict the economy will expand by 6% between now and 2018. As of 2016, the Philippines’ economy comes in at number 33 in terms of size. It has a large number of exports, mostly related to electronic and digital parts and products, but also clothing, transport equipment, copper and petroleum products, and agricultural products. 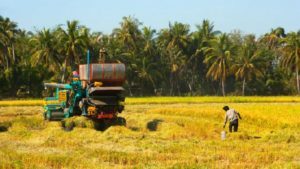 30% of the workforce in the Philippines works in the agricultural industry, 14% are in the industrial sector, and the 47% work in the service industry. All of this gives you a better idea about the importance of choosing to do business with the Philippines. It may not be as huge as China and India, but, as you can see, the economy is on the rise and it has a lot to offer in terms of exports and investment opportunities. Reaching out and marketing your product or service in the Philippines, investing there, or even establishing a branch of your company there are all excellent ideas in terms of business and financial growth. The most important step in this process, however, is working with a good translation agency. Get started with Tagalog translation services today!